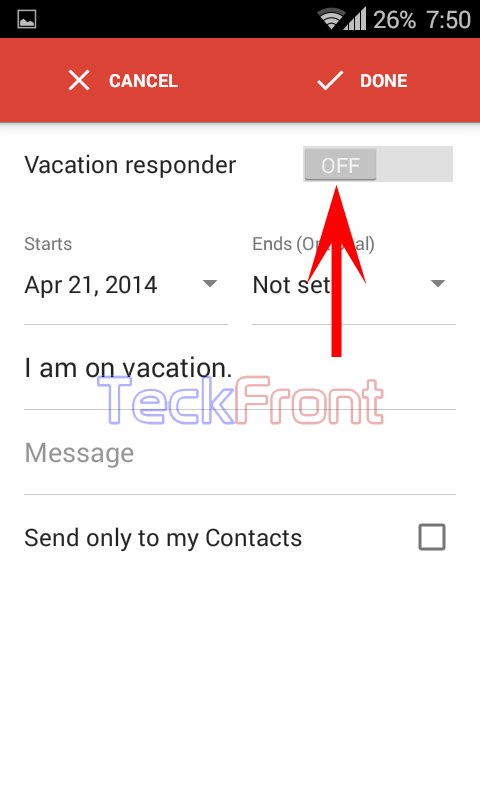 How to Activate Vacation Responder in Gmail App of Android 5.0 Lollipop? When you are on vacations, you cannot remain cut off from the world around you and it is really important for you to keep your contacts, informed, about your date of return from vacations. This is absolute necessity for you to inform your contacts or other people, contacting you through email, about the end of your vacation date. On the other hand, you may inform your contacts or other people, communicating with you, that if they have urgency in their affairs, they may contacts some other person. You may also give the name of the person, substituting you, to the people contacting you. This is not only a good business ethics but also a professional responsibility, rather a professional practice. Understanding the professional ethics, Android has added a feature, Vacation Responder, in the Android 5.0 Lollipop. You may switch ON this feature at your end. It is easy to switch ON/OFF this feature if you follow the instructions. 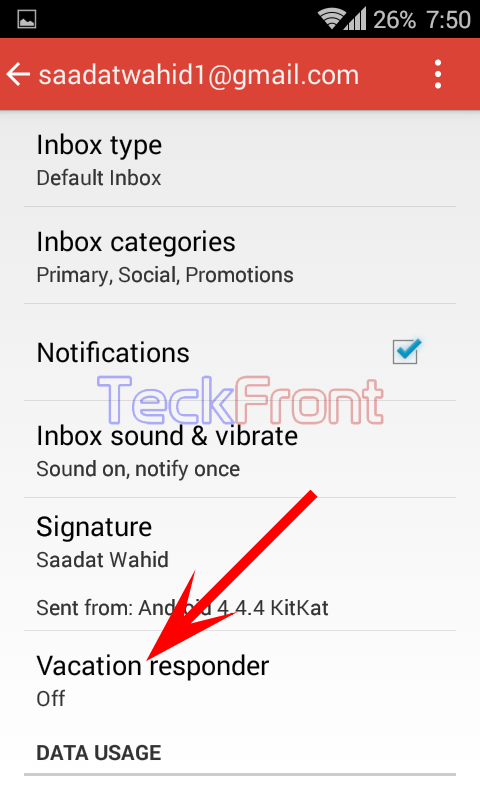 Note: Before following instruction, be sure that you have downloaded and installed Gmail app for the Android 5.0 Lollipop in your Android device. Remember, majority of the newly updated apps for Android Lollipop are functional on the Android 4.3 & 4.4.x (Jelly Bean & any version of KitKat) as well. 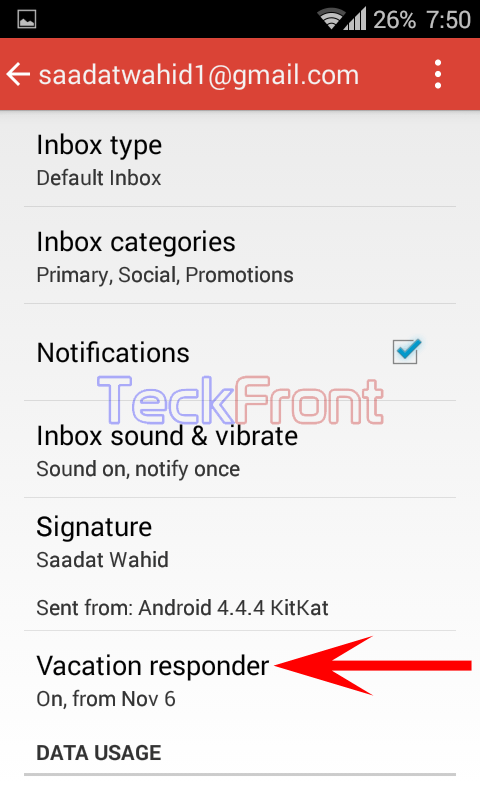 To download the Gmail app and to learn to install new Android 5.0 Lollipop app, visit our article: Download the official Gmail 5.0 apk with Material Design and multiple accounts from Android Lollipop. 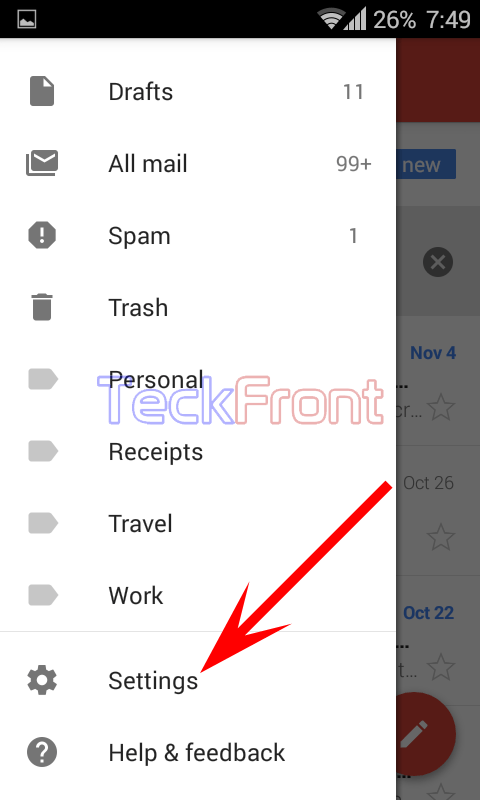 Further, make it certain to connect your Android device with Internet as the Gmail app may not be functional without good Internet connection. 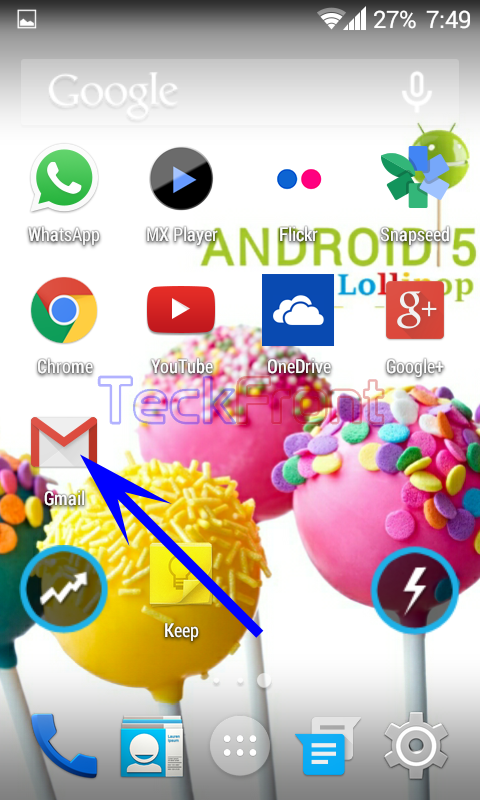 1: Tap icon of ‘Gmail’ app on the Home screen of your Android 4.4.x device. 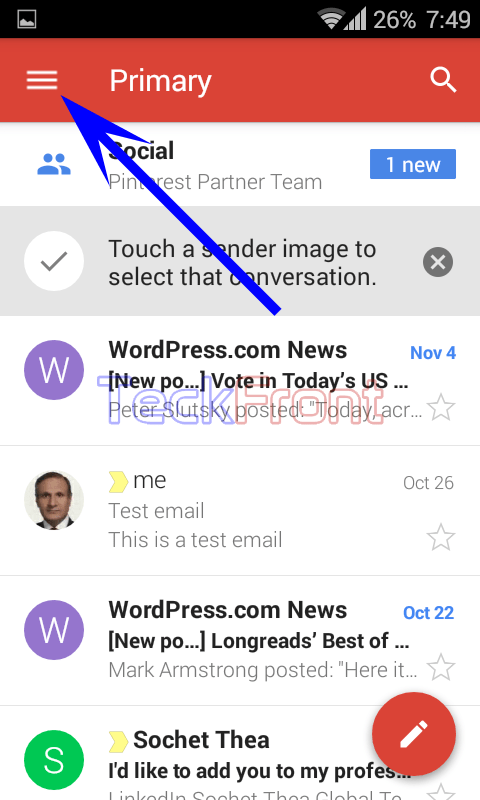 2: Tap the ‘Account holder’s’ menu opener button on the ‘Primary’ screen of the ‘Gmail’ app, given at the top left corner of the screen. It will open up the Gmail account holder screen. 3: Scroll down the account holder screen to the bottom of the screen and tap the ‘Settings’. 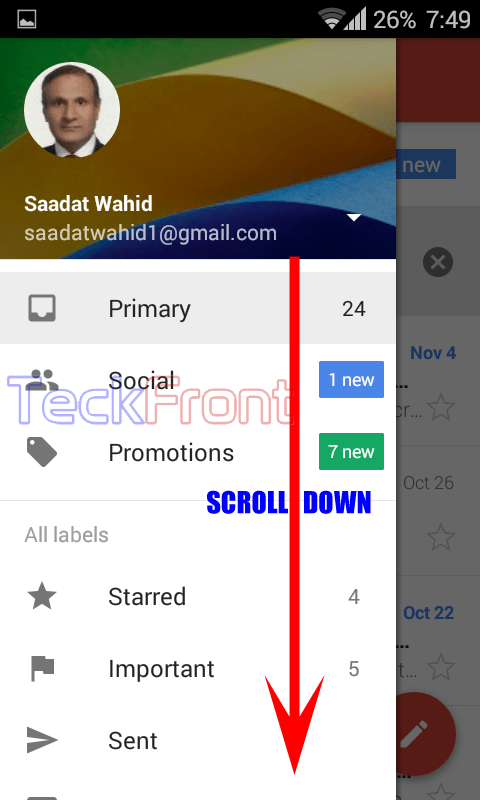 It will open up the ‘Settings’ screen of Gmail app’s screen. 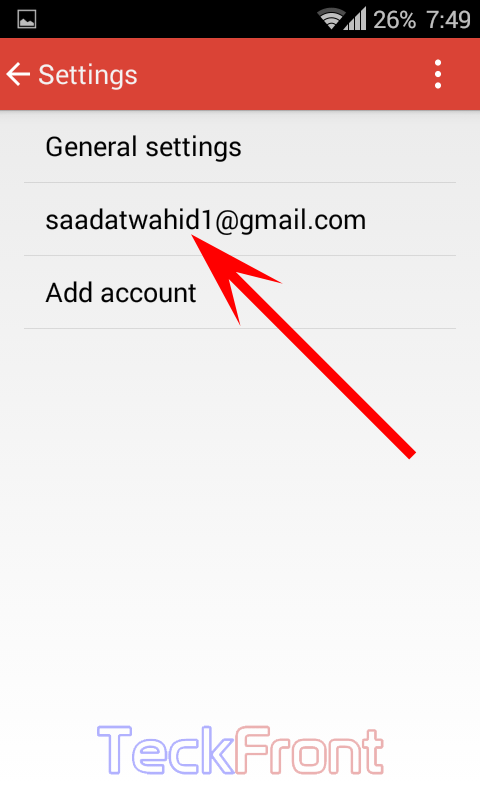 4: Tap the account holders’ email at ‘Gmail’ app screen. It will take you to the detailed options of settings screen. 5: See the status of the ‘Vacation responder’ is Off. Tap to change the status. 6: At the next screen, see the ‘Vacation responder’ switch is OFF, i.e. disabled. 7: Tap and drag the switch to the right to switch ON, changing the color of the switch to Sky Blue as well, indicating that the switch is ON. 8: Go back to the previous screen. Here, see the status of the ‘Vacation responder’ is changed to ‘On, from Nov 6’. From now-on-ward, whenever you are on vacation and you have switched ON this feature, the email sender to this Gmail account will receive the message, set by you. 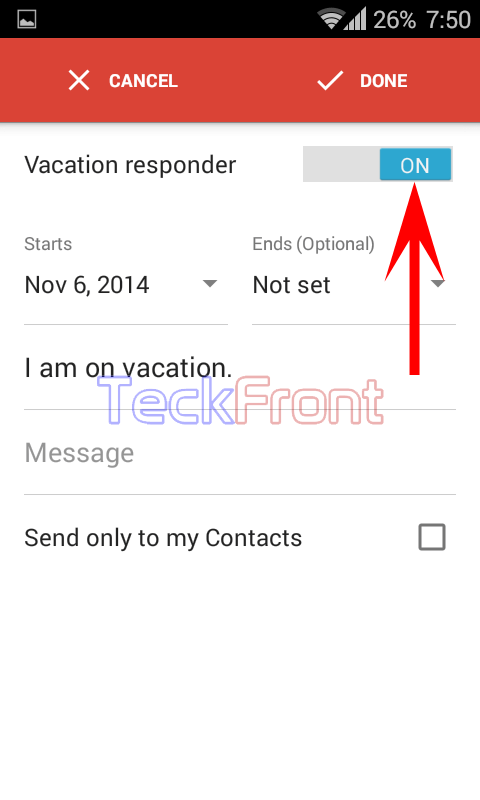 Newer Configuring Vacation Responder in Official Gmail App of Android 5.0 Lollipop.